Whether you like it or not, Jordan Brand is having a phenomenal 2019 so far. Thanks to a strong showing at this year's NBA All-Star Game, Jumpman has been riding the waves of success. Most of this has to do with the fact that the brand has been releasing some OG classics such as the Air Jordan 6 "Infrared." Not to mention, the brand will be releasing the OG Jordan 4 "Bred" in May. In addition to the retros, JB has been focusing on providing some interesting new colorways for women. One of those colorways was shown off at a recent Jordan Brand event and from the images we've seen so far, it's looking pretty clean. 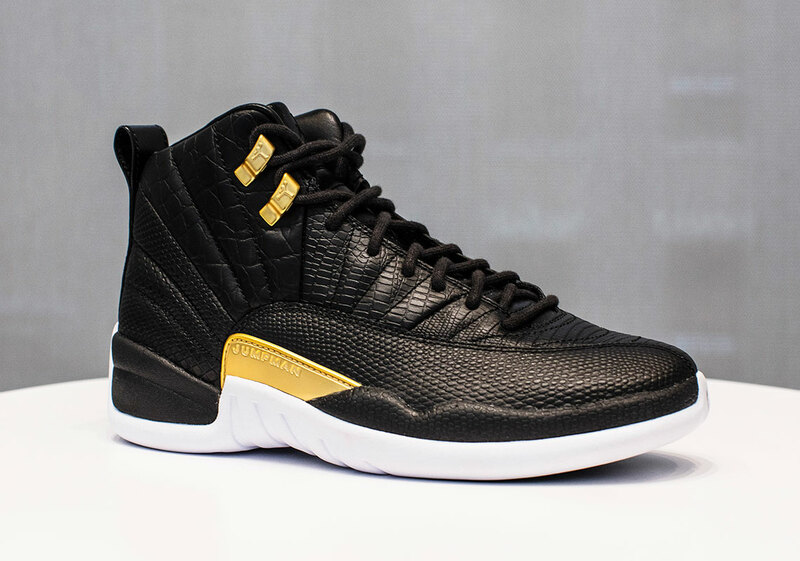 The upper is covered in a black reptile pattern, while metallic gold accents can be found on the side and on the eyelets near the top of the shoe. Meanwhile, the midsole comes in the standard white. This is a women's colorway which means if you're over a size 10 in men's shoes, you probably won't be able to fit in these. Although for all of the small feet out there, these are fair game. According to Sneaker News, they will be released on April 12th for $190 USD.